Our story telling app Little Troopers Treasures has reached another fantastic milestone. Over 6,000 book videos have been watched. 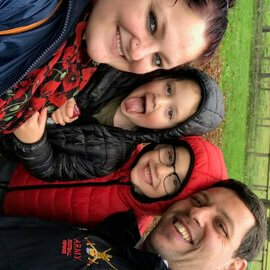 That’s 6,000 bedtimes have been made super special with Mummy or Daddy still being able to read the bedtime story even though they are miles apart. 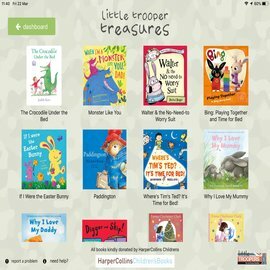 Our Little Troopers Treasures app has 15 books, which parents can record themselves reading. The videos that the children watch include the book pages turning and a screen that shows Mummy or Daddy reading to them. Harper Collins Children’s Books provide the books on the app, one of the favourites, which is perfect for Mother’s day is ‘Why I love my Mummy’ and a new book has been added recently – The Crocodile Under the Bed. 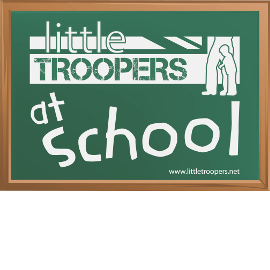 Are you a Little Troopers Champion?